If we are really, really honest, there is no such thing as a simple website anymore! That said, we do understand that sometimes, individuals and organisations who are just getting started need a simple website that says who they are, what they do and how to contact them. It is for this reason that we have developed the WordPress Starter Package. A dedicated junior developer who will build your website for you according to the sketches agreed upon with the senior developer. 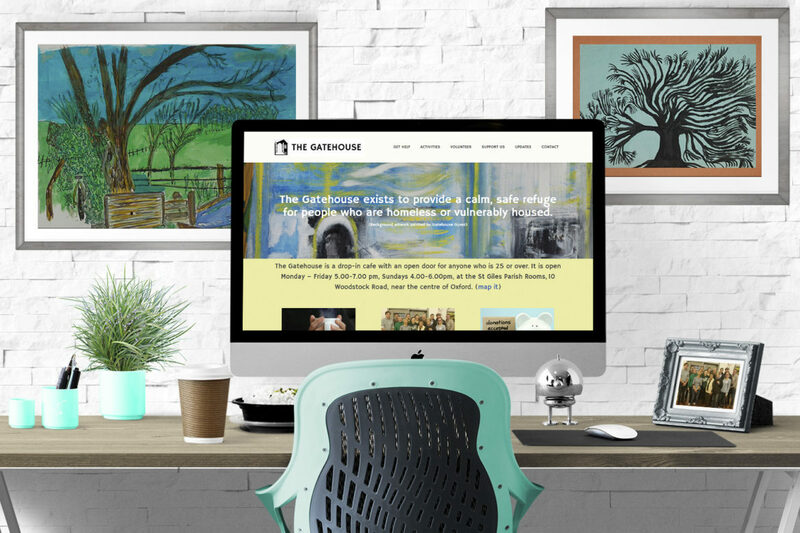 We recently completed a website for Gatehouse a homeless charity in Oxford. The Gatehouse is a drop-in cafe with an open door for anyone who is 25 or over. Most WordPress Starter websites take a couple of weeks to build from start to finish, but can be built in less than a week in a rush. The cost of a starter site ranges from £750 to £1250. Made with Joy aims to be 100% transparent when it comes to what you’ve been charged for. We only invoice for work that we have done on your site and we charge an hourly rate of £50 for Senior Developers and £25 for Junior Developers. Third party costs (i.e. SSL Certificates, URL purchases, plugin purchases) are billed separately. A £500 deposit is required to start work on a WordPress Starter site.